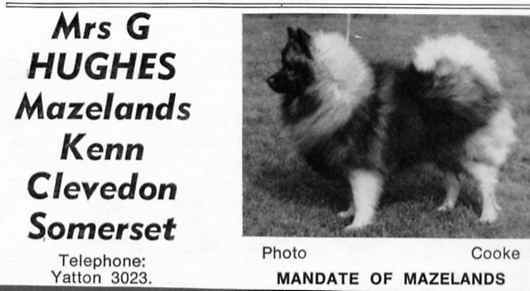 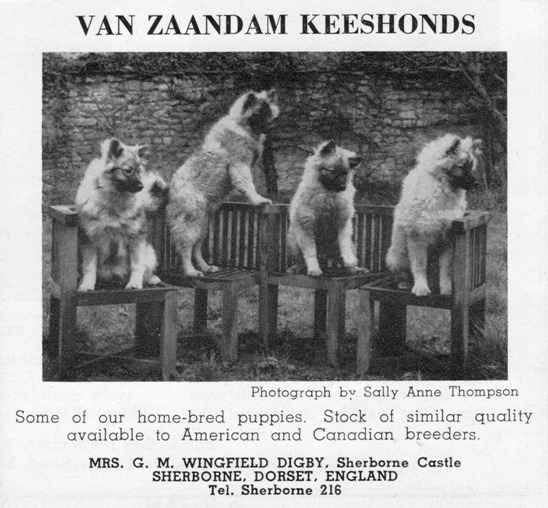 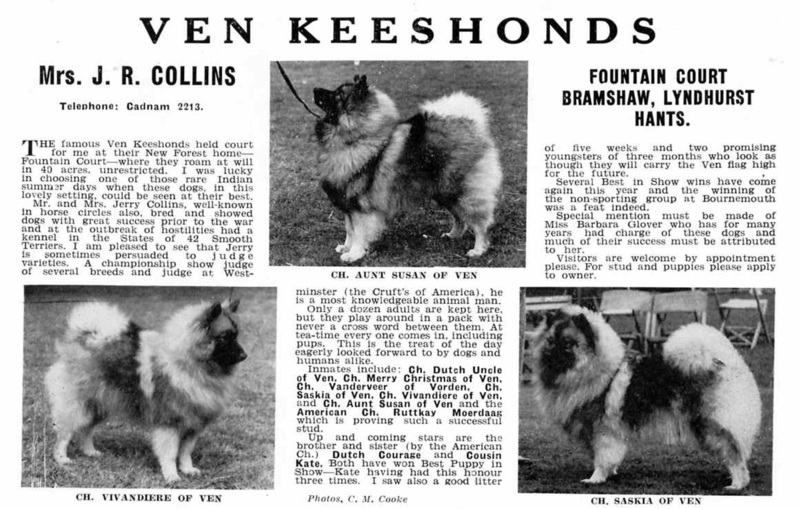 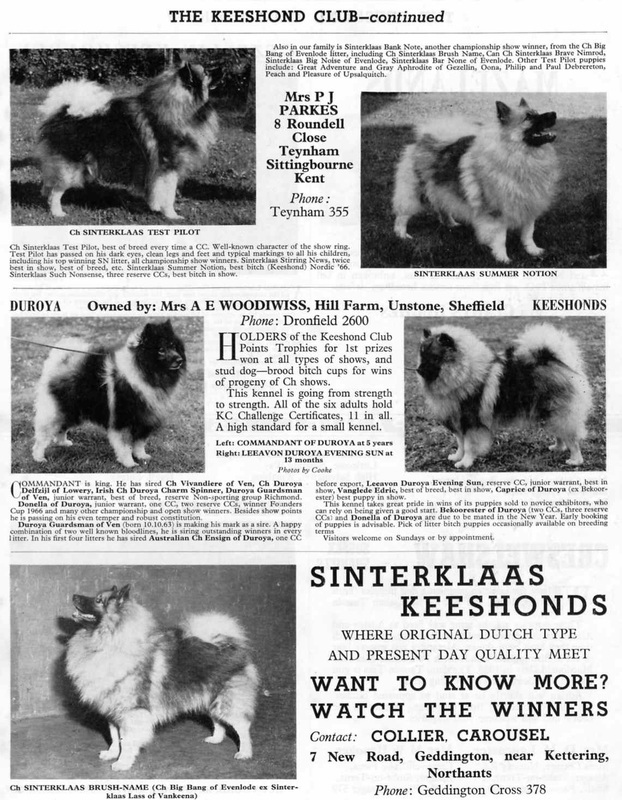 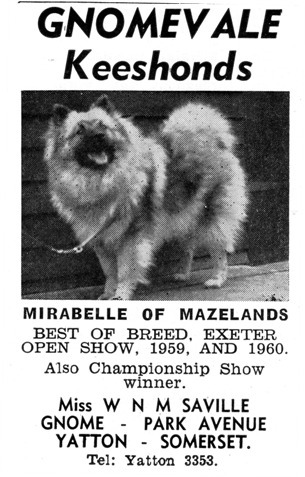 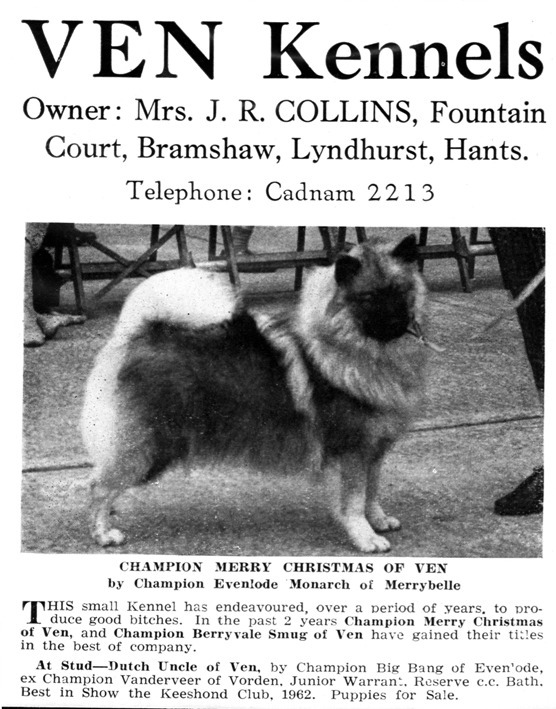 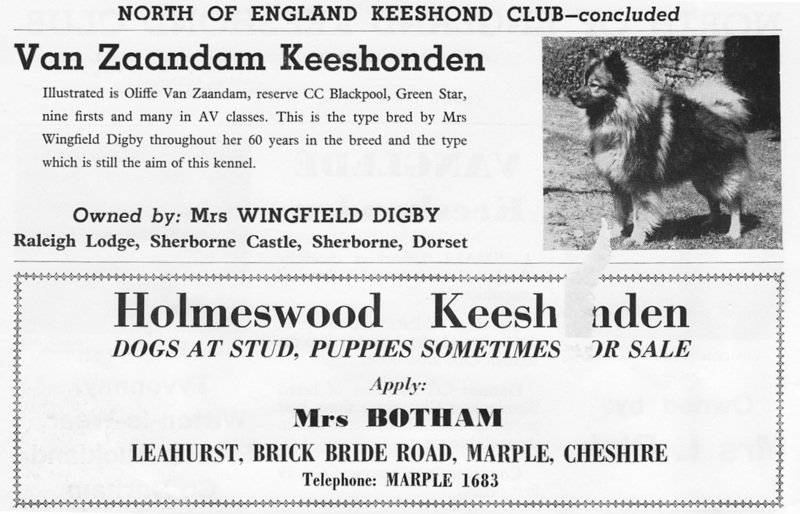 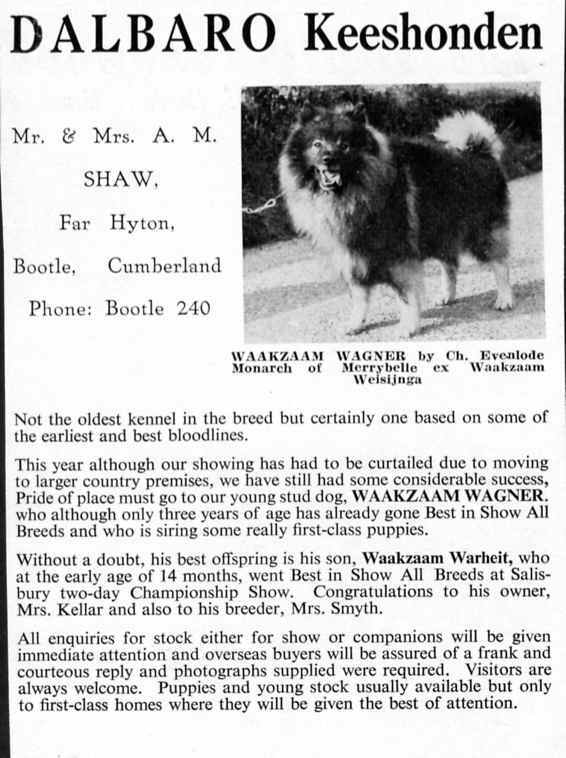 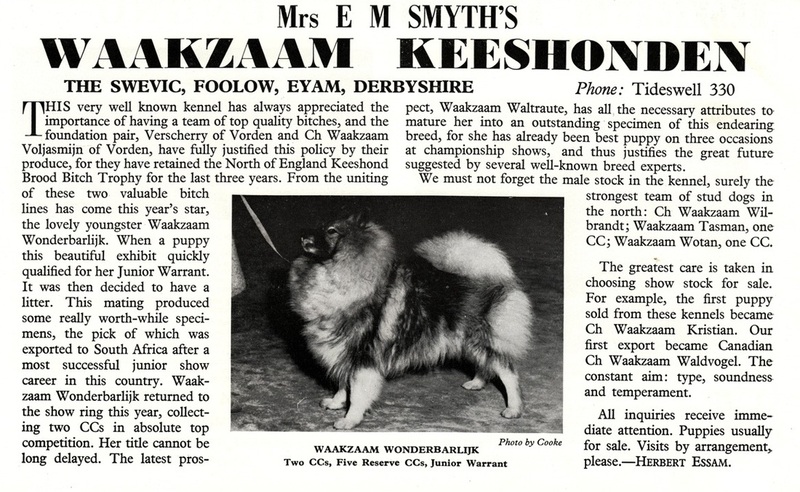 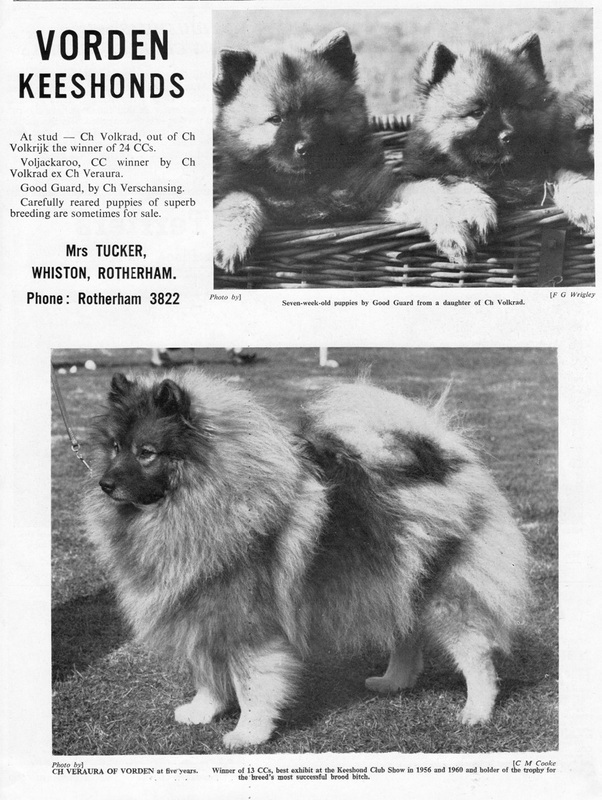 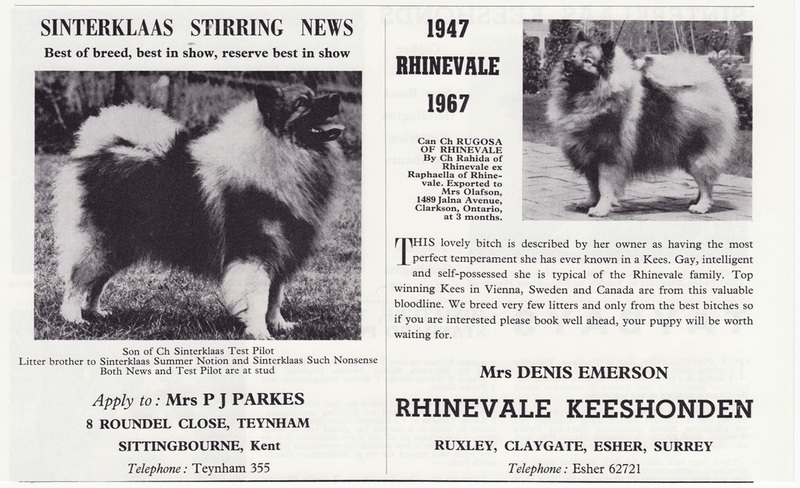 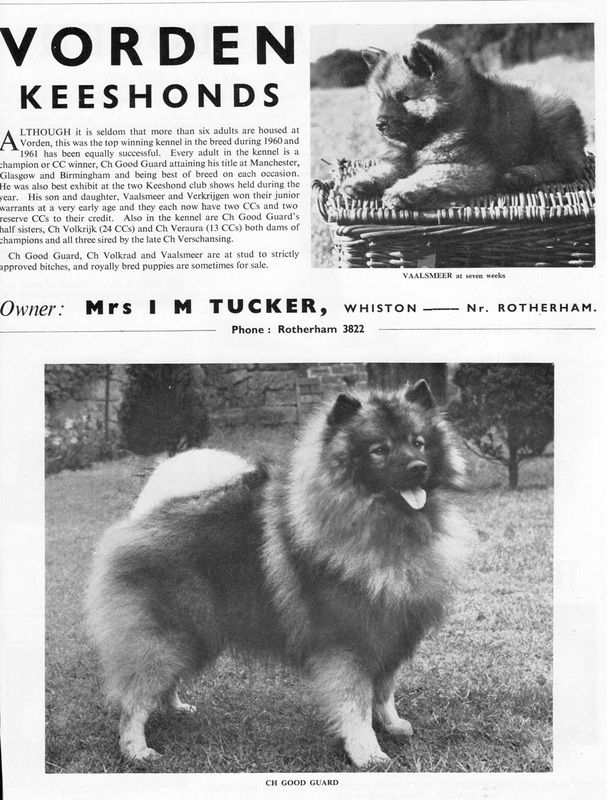 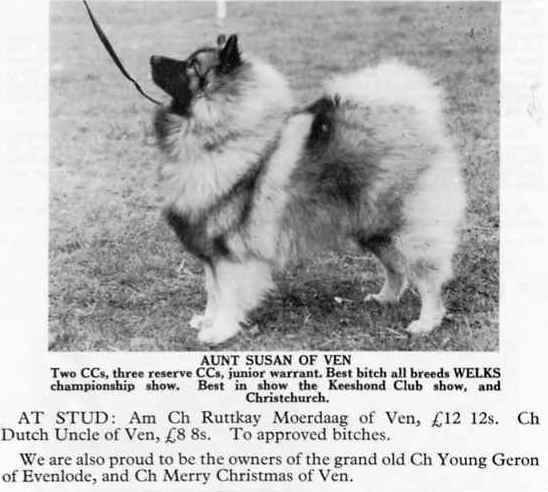 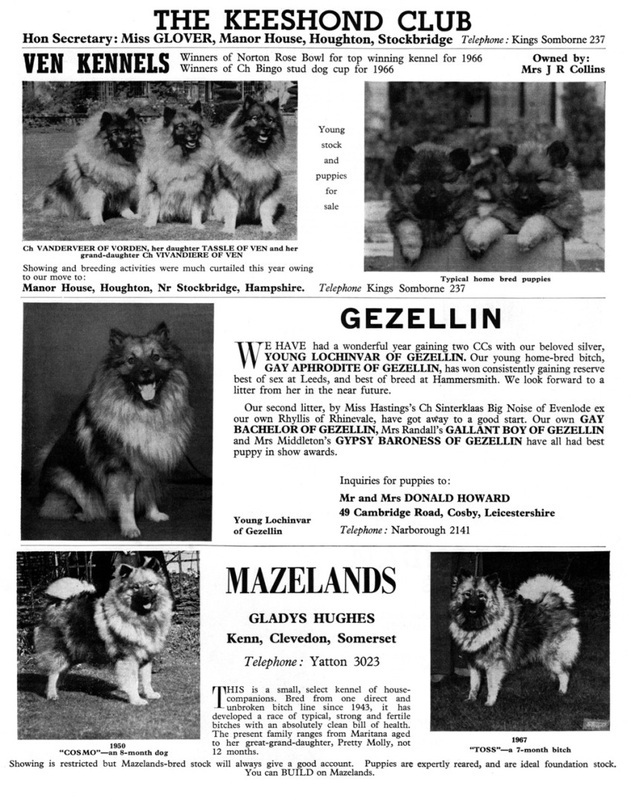 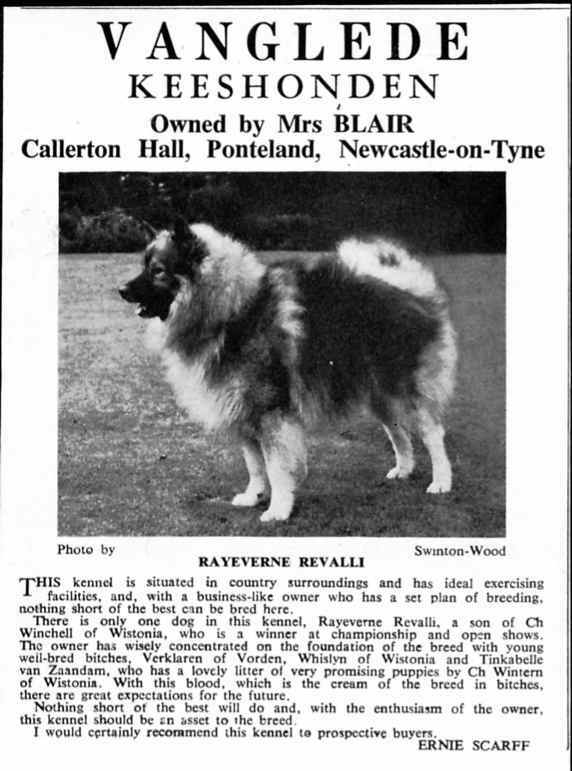 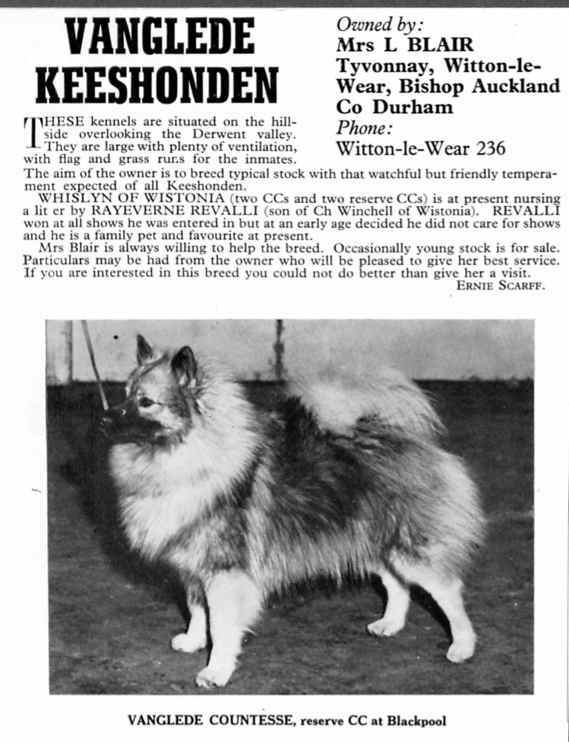 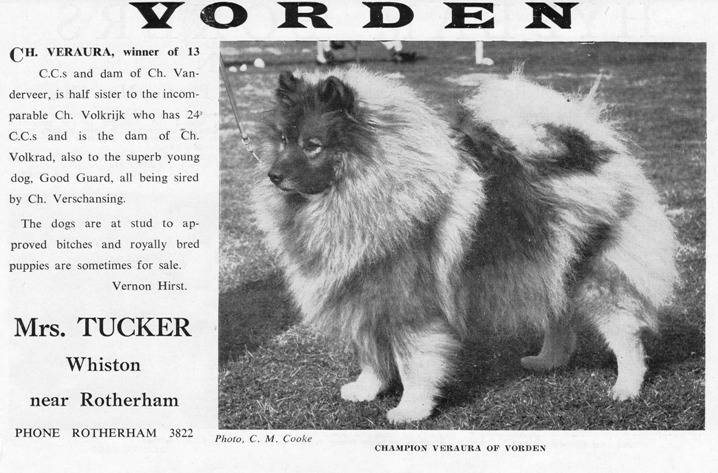 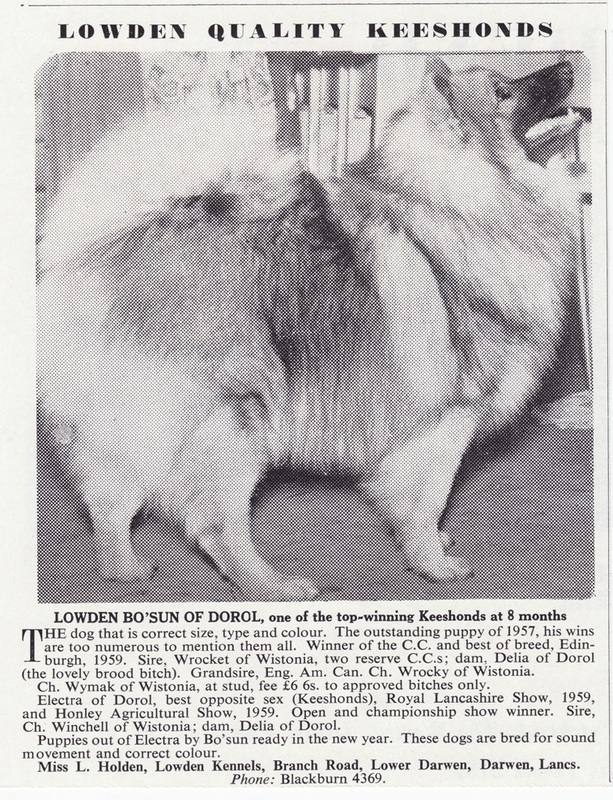 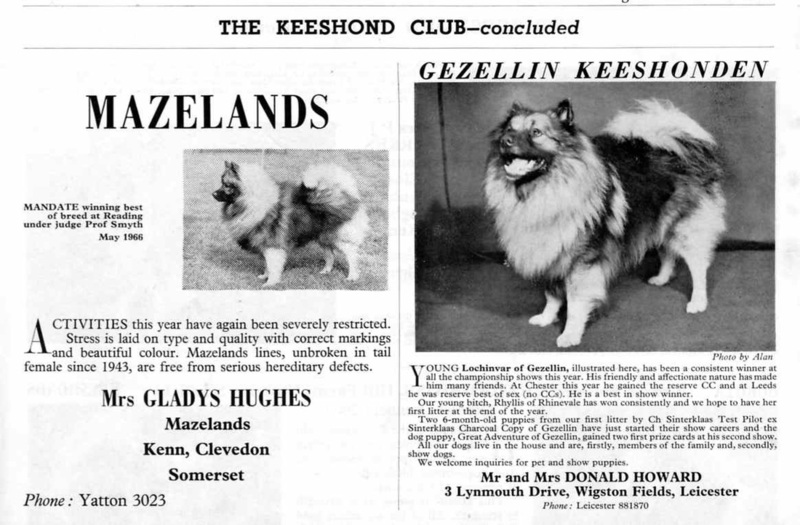 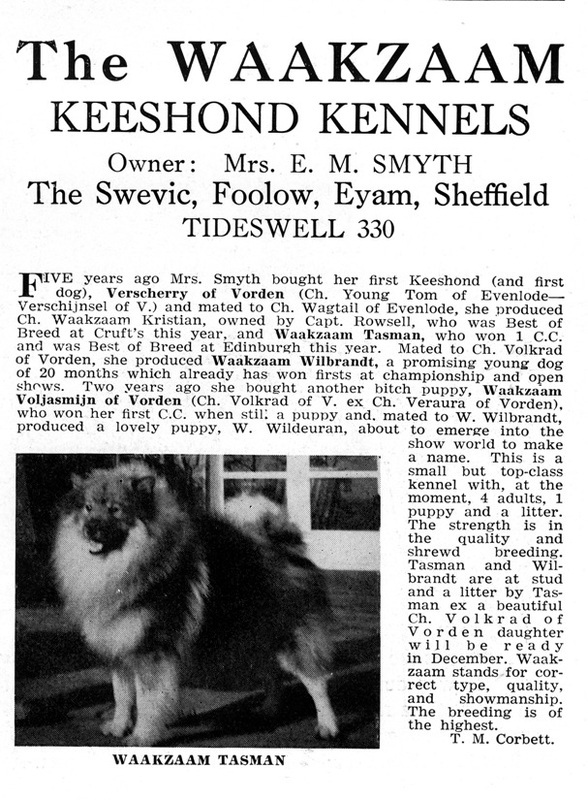 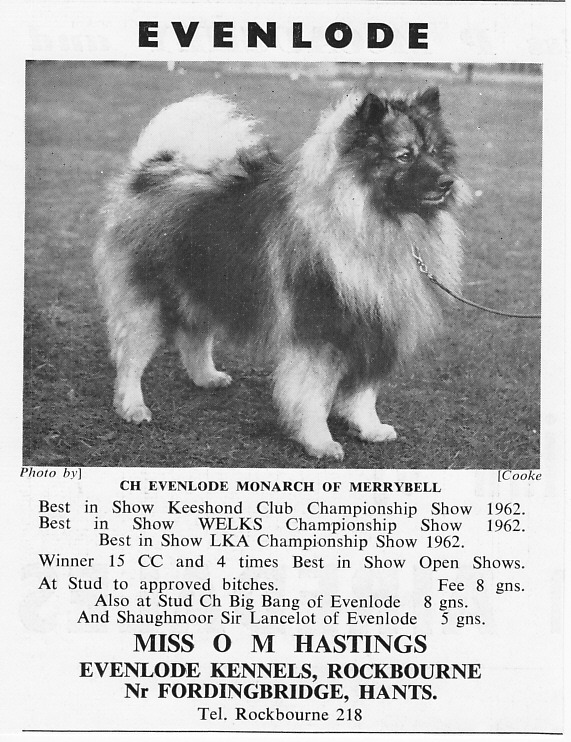 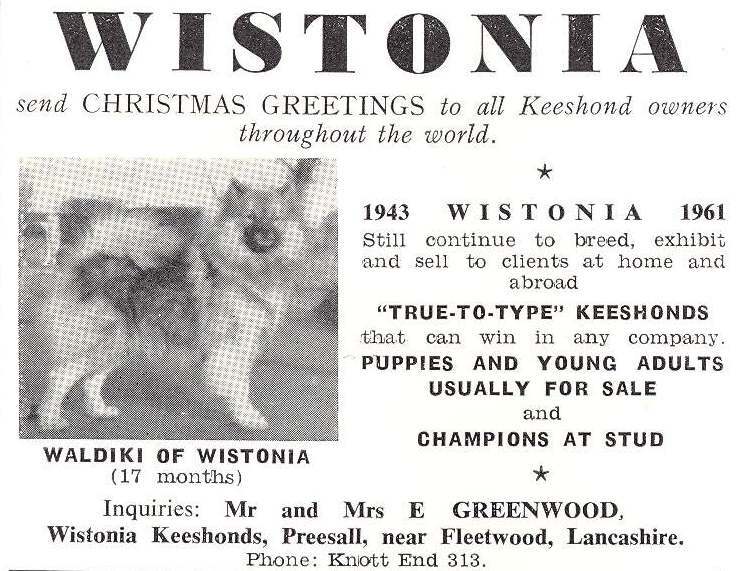 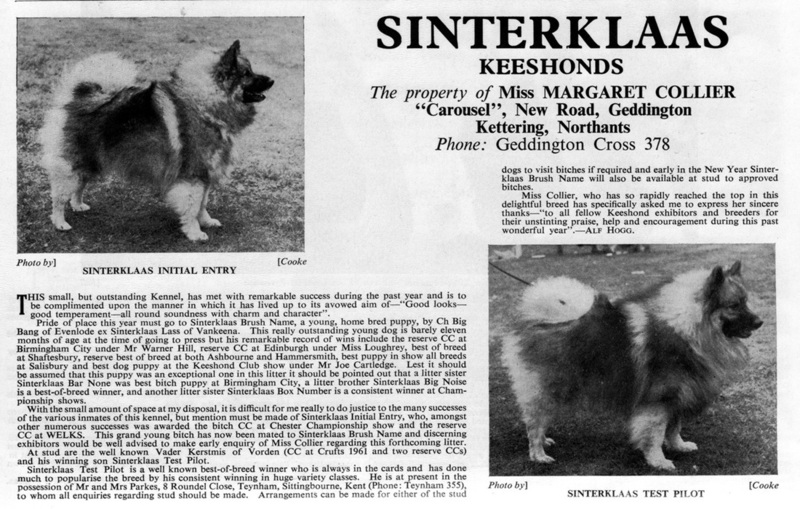 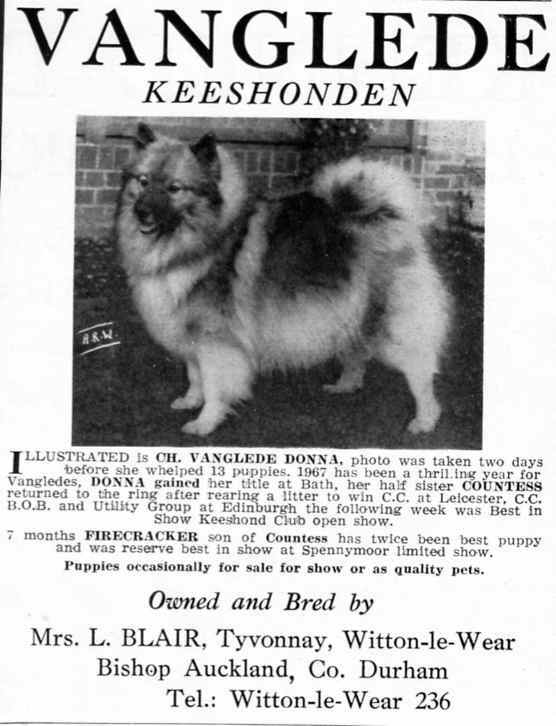 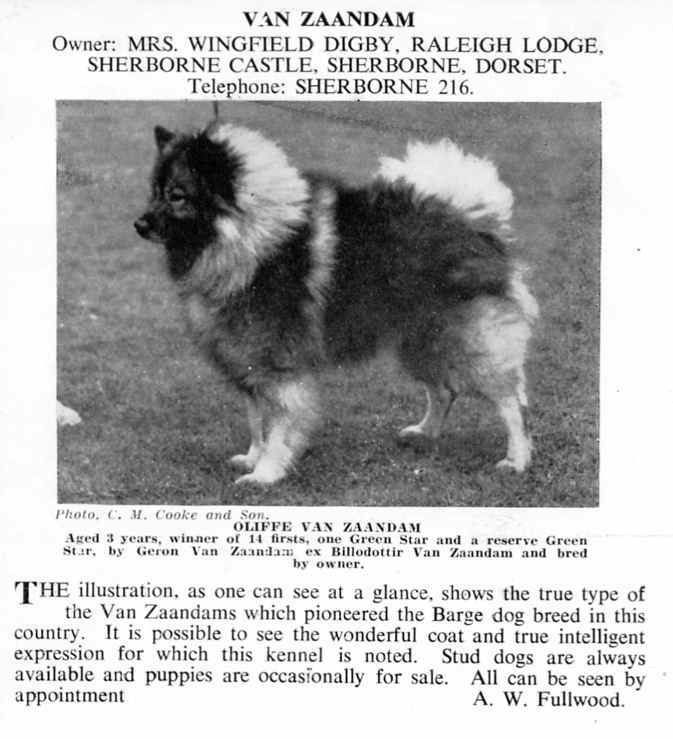 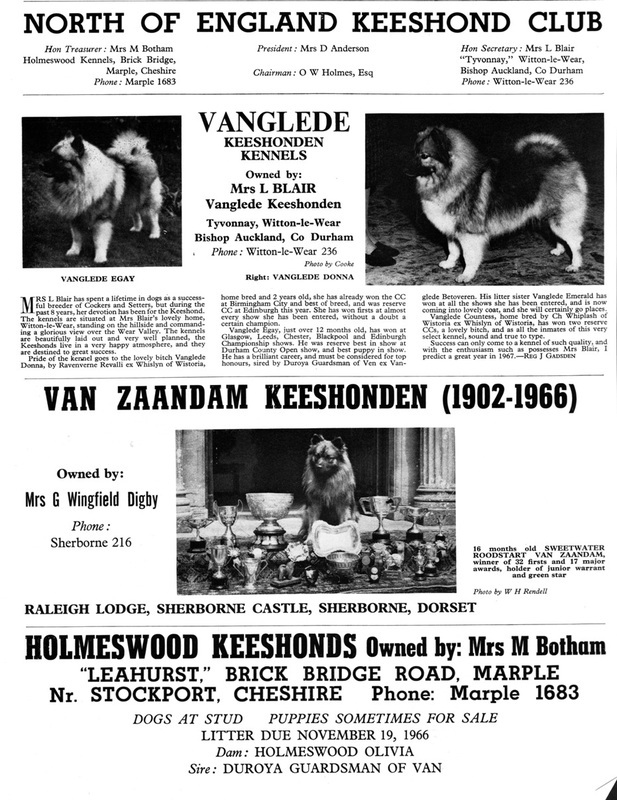 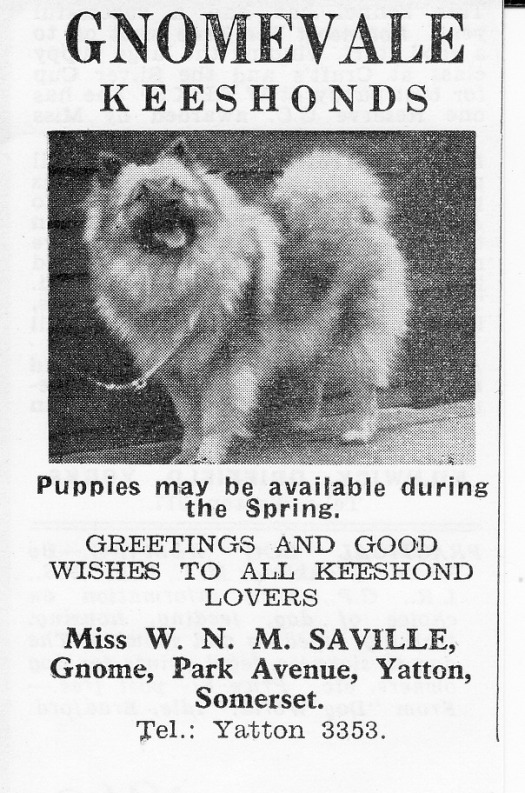 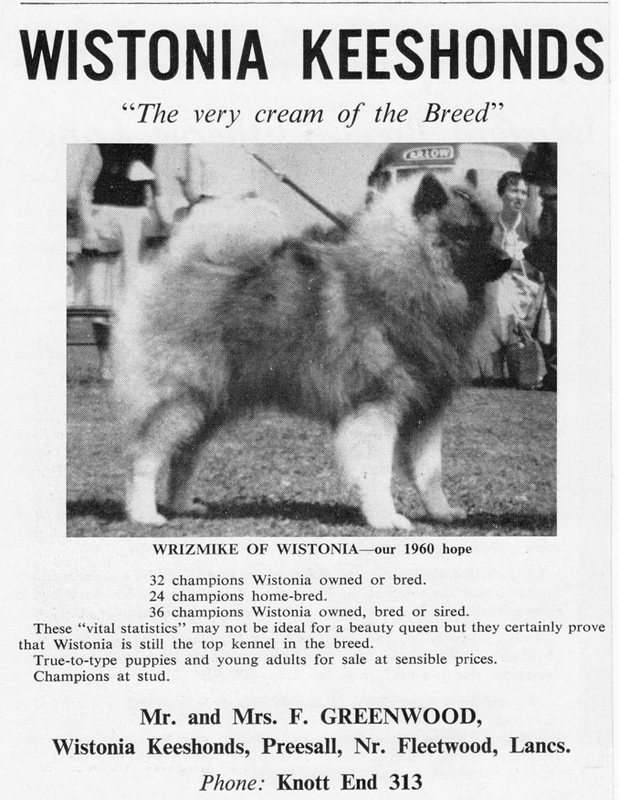 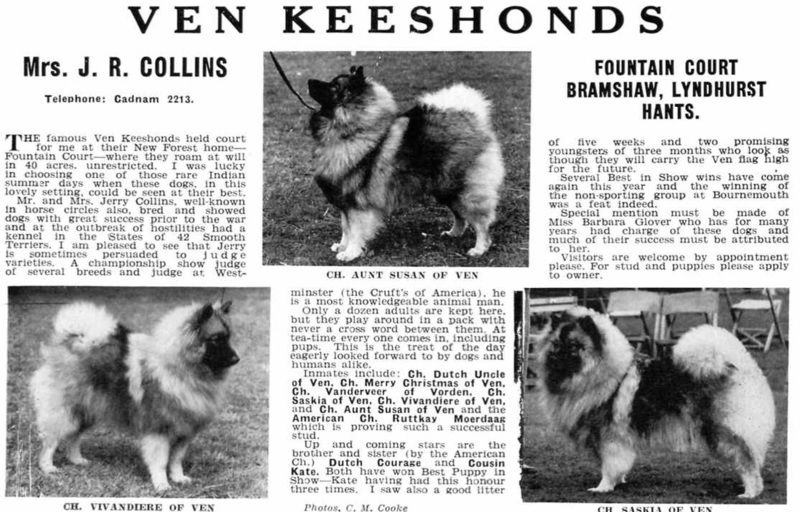 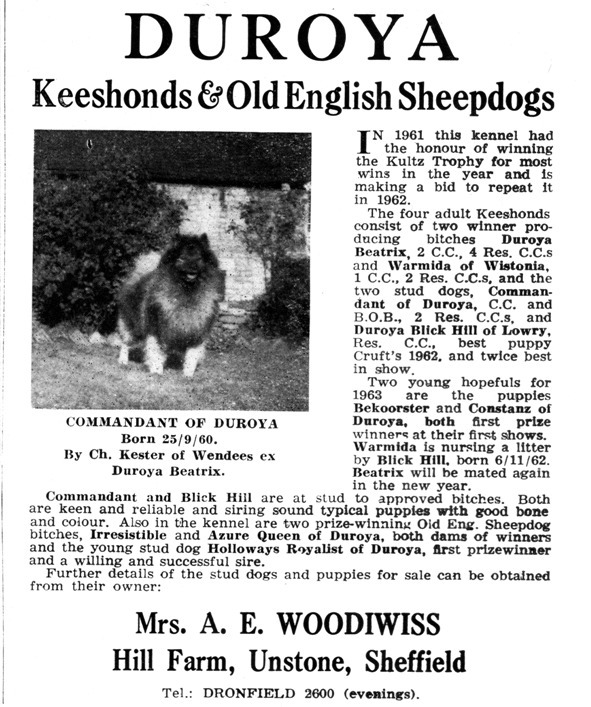 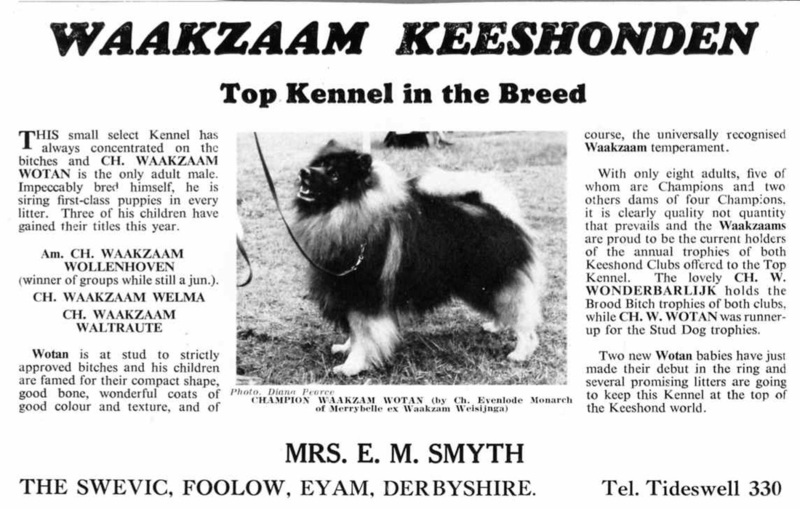 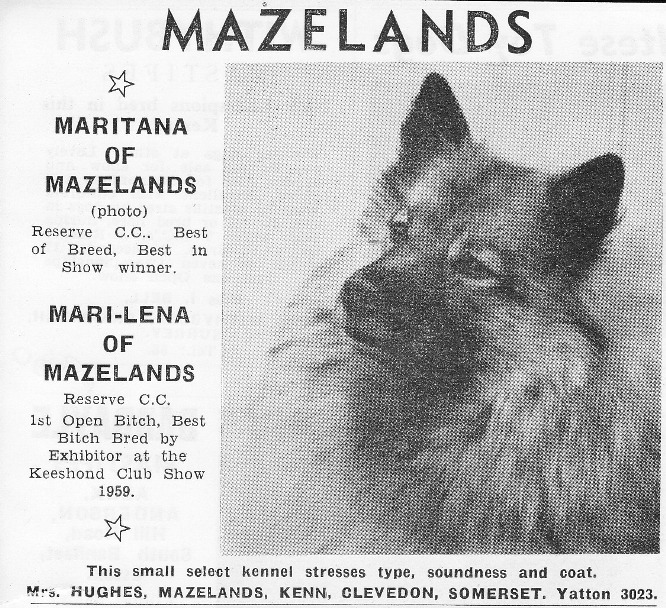 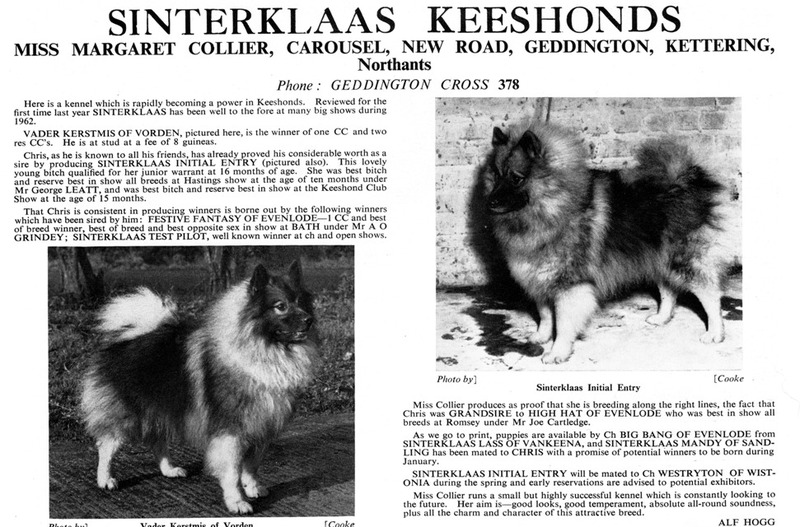 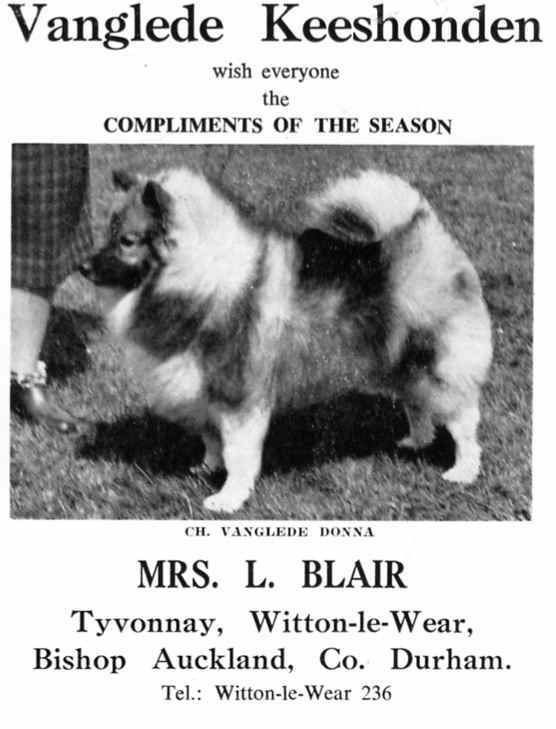 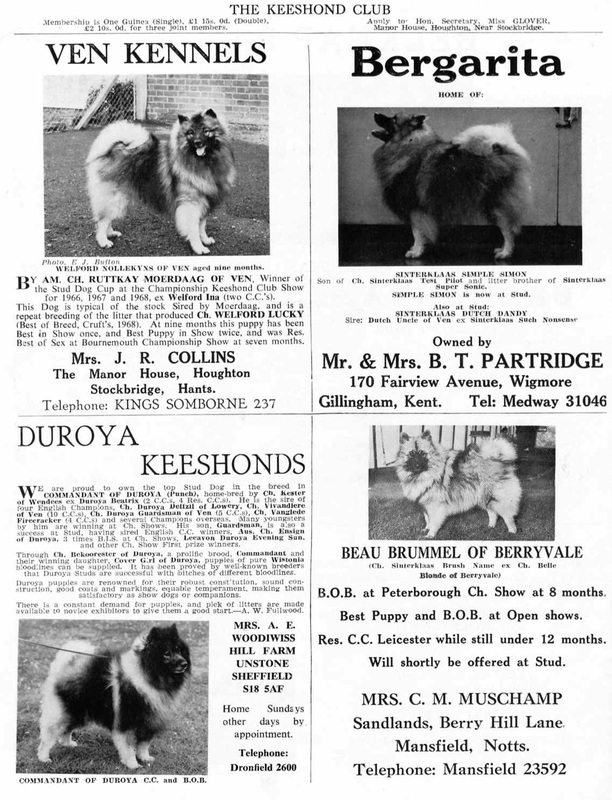 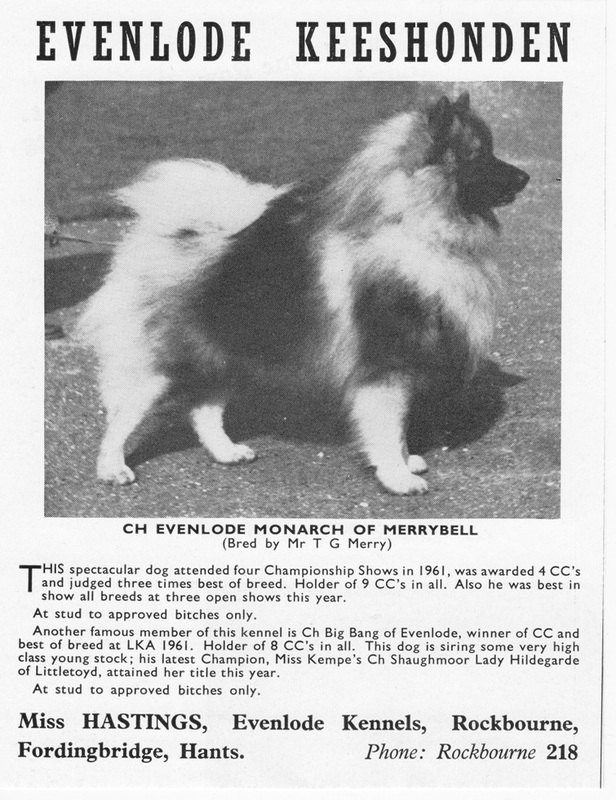 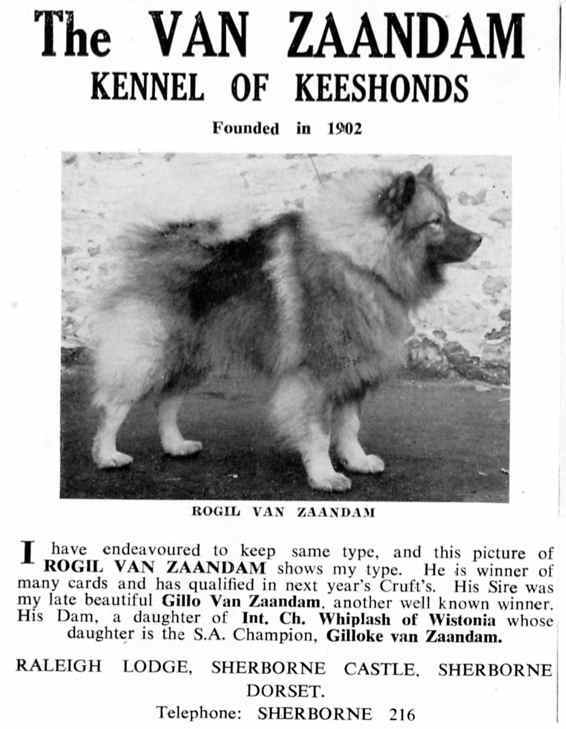 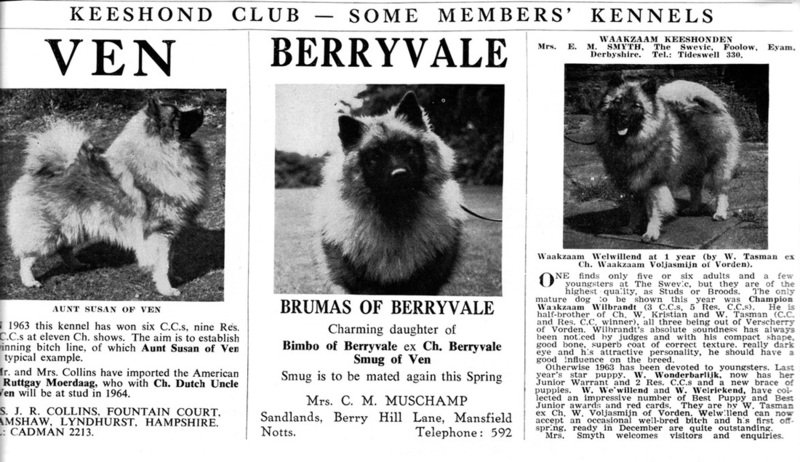 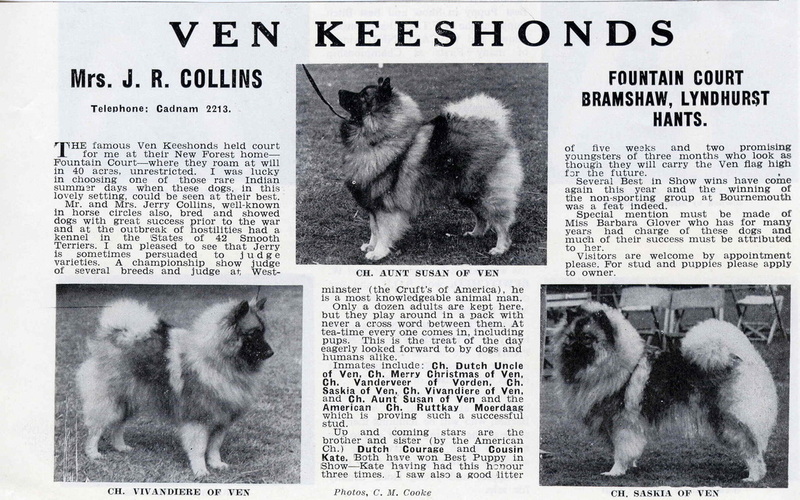 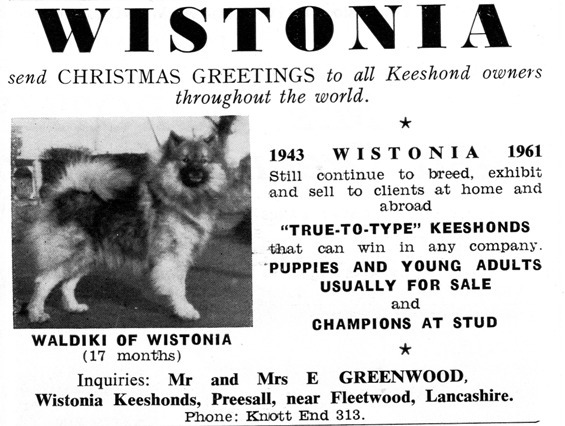 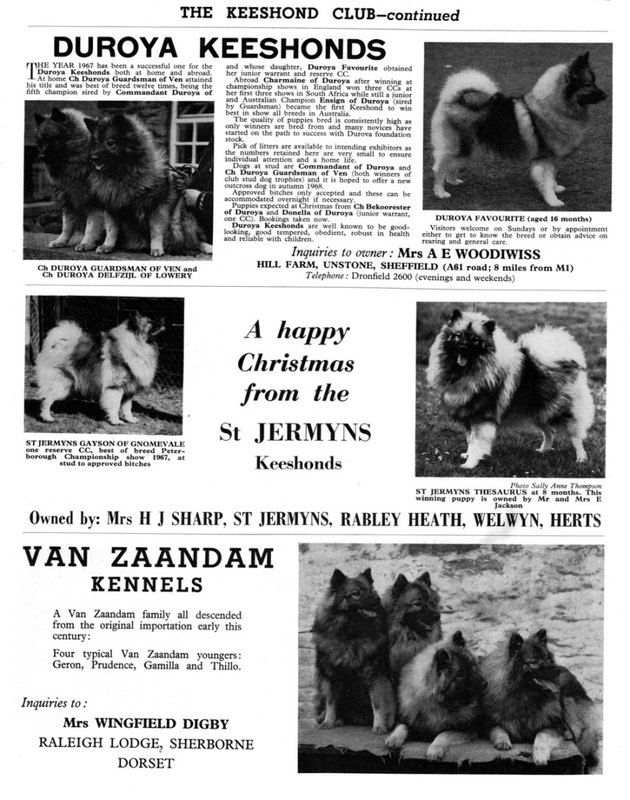 Although keeshonds, or overweight pomeranians as they were called, had been around in the UK for at least 150 years before Mrs. Wingfield Digby brought some from Holland in 1902 it was she who worked to make the breed known and to get it accepted as a breed by the Kennel Club. 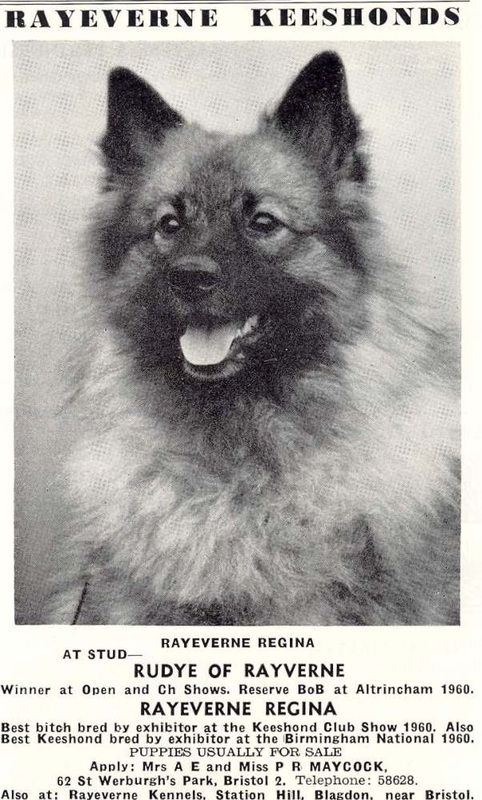 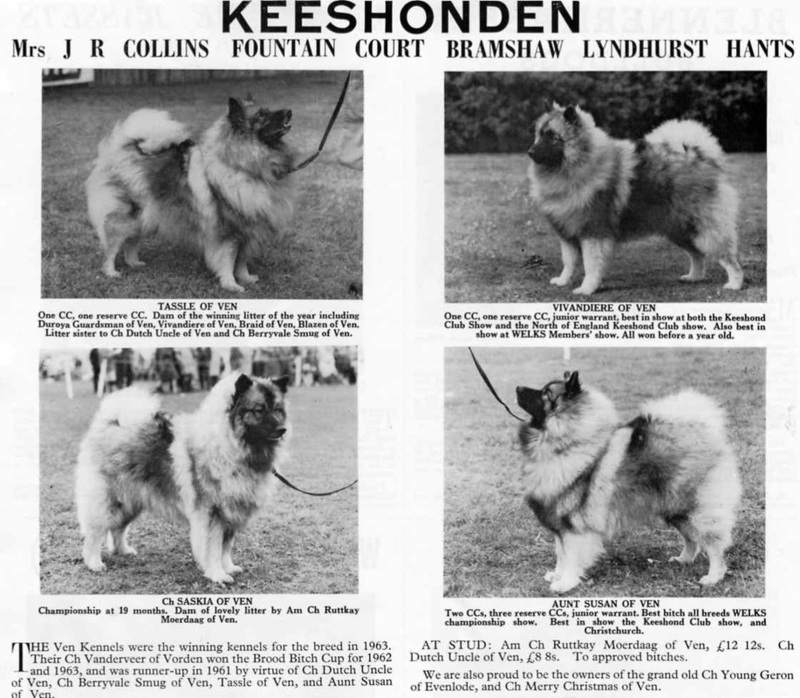 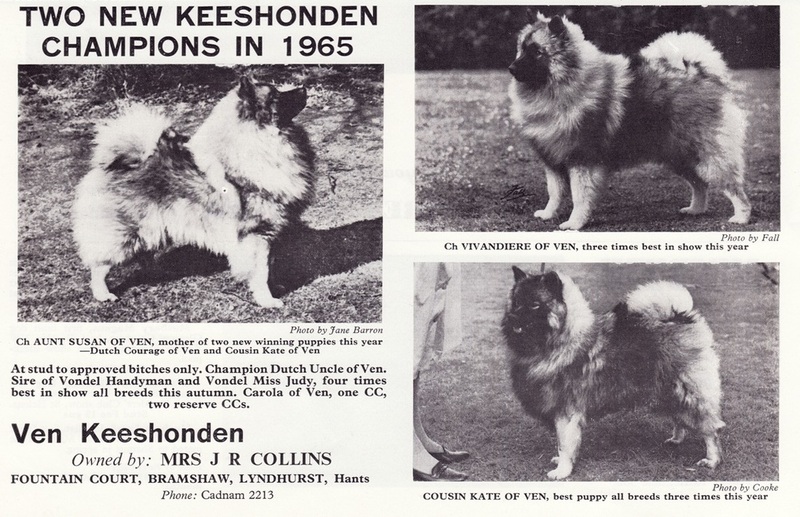 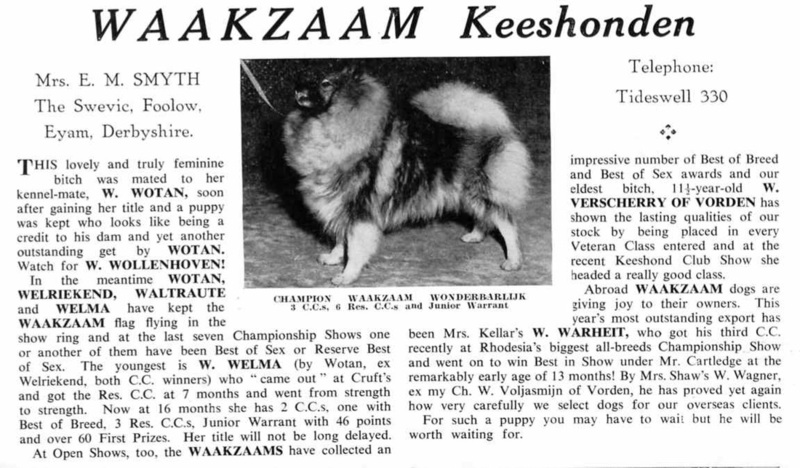 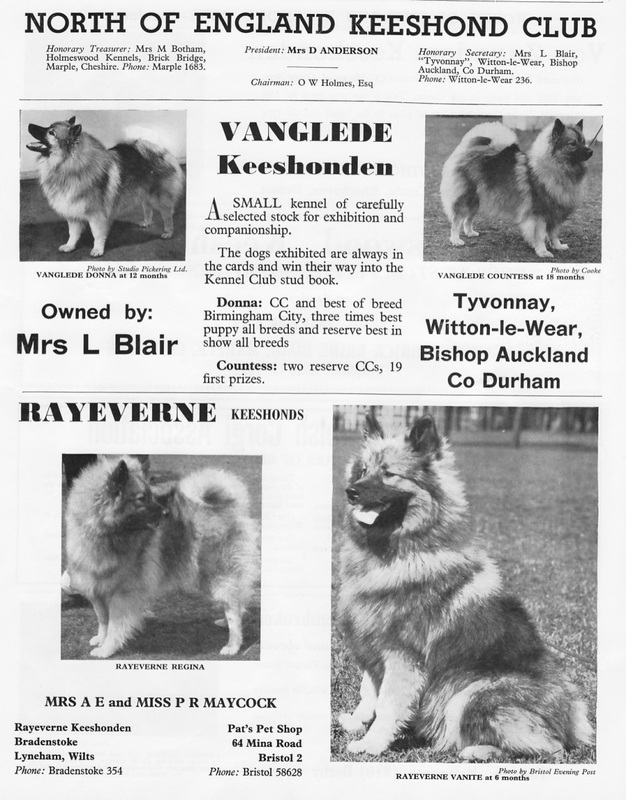 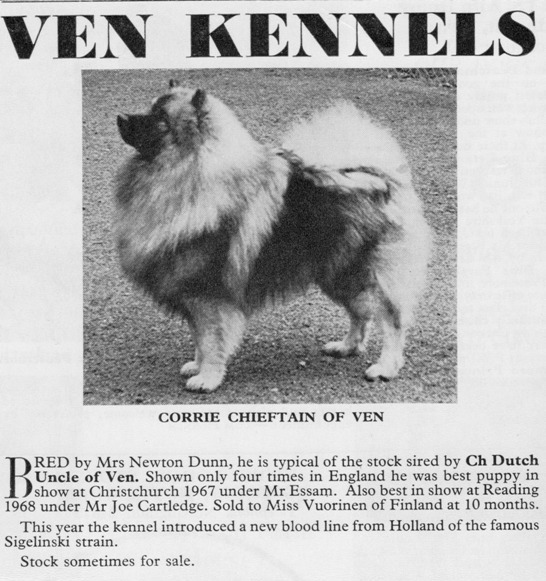 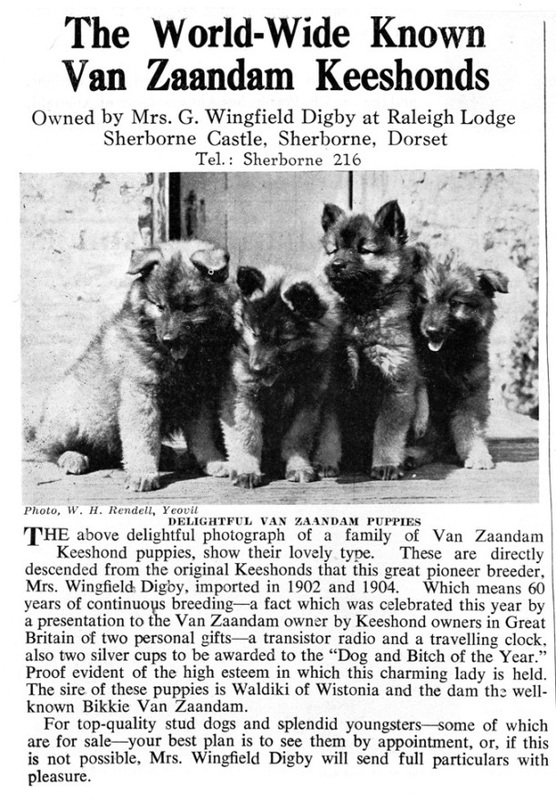 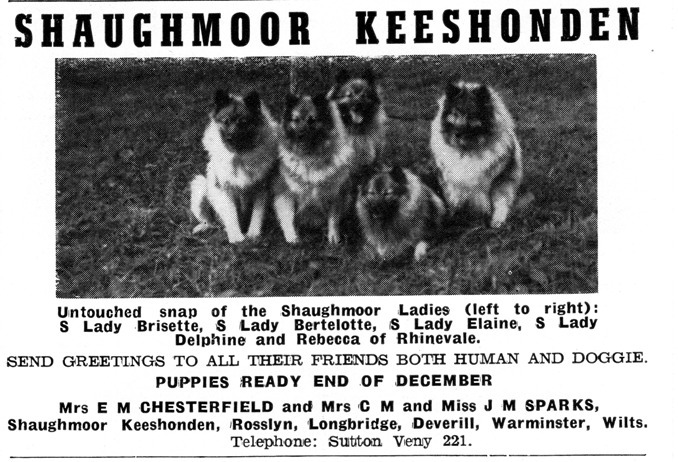 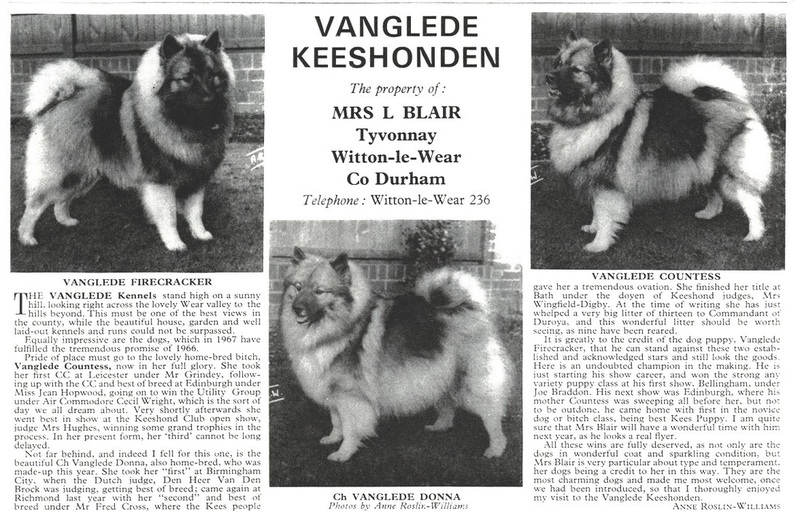 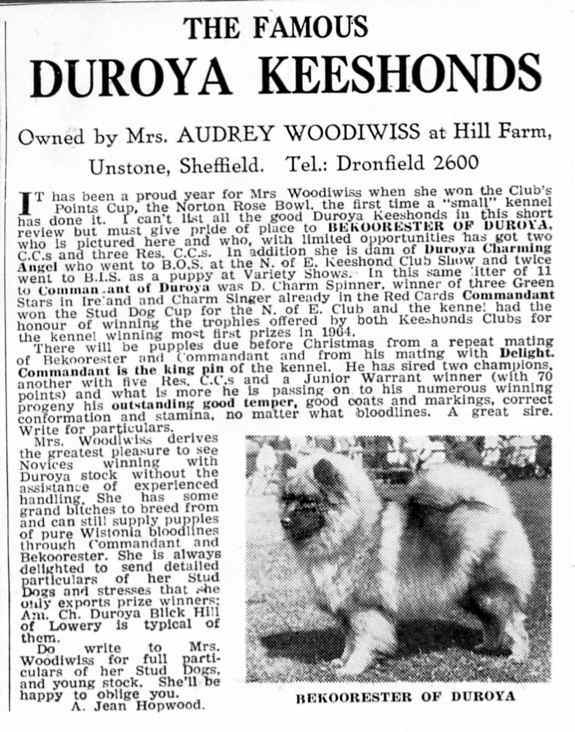 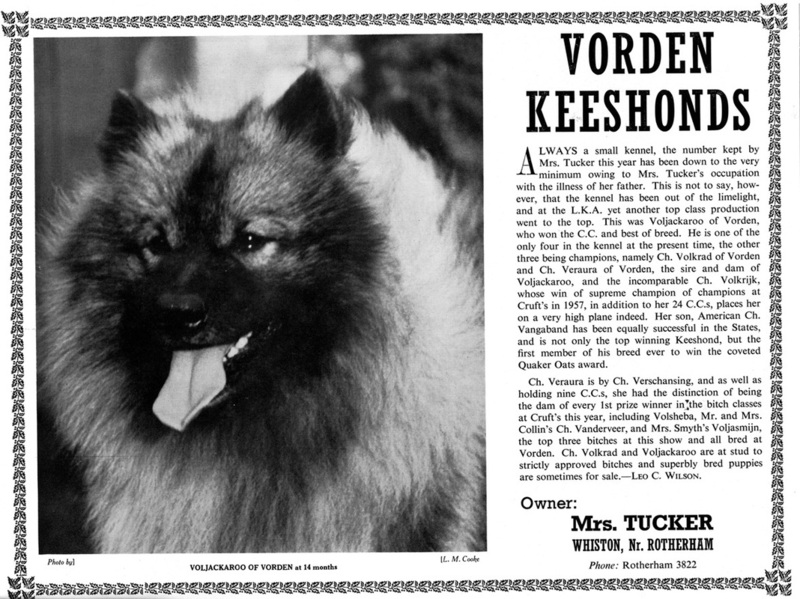 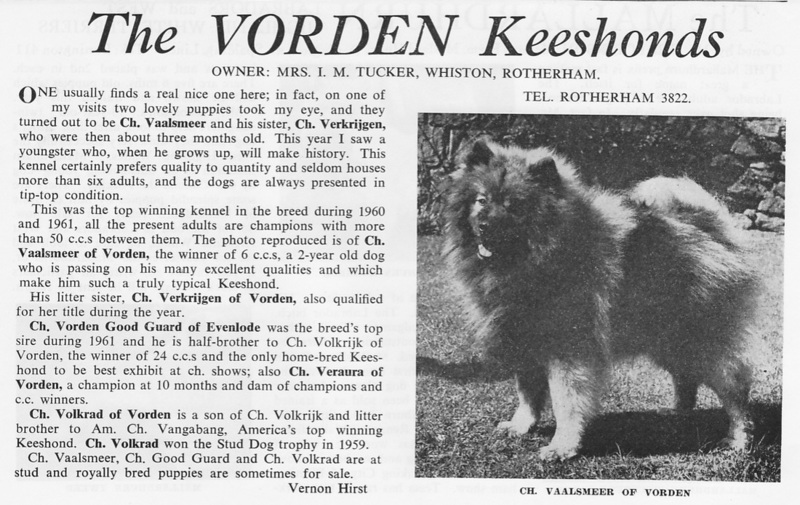 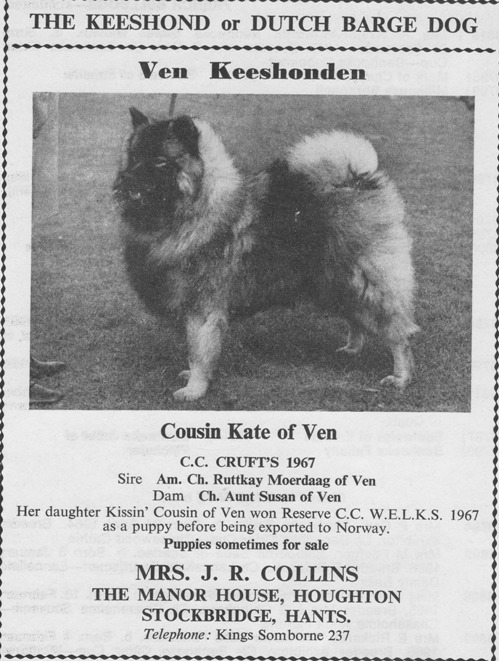 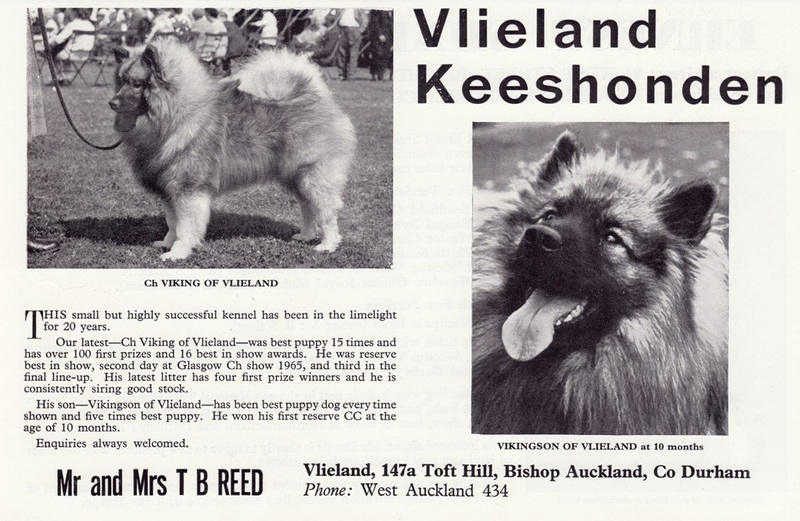 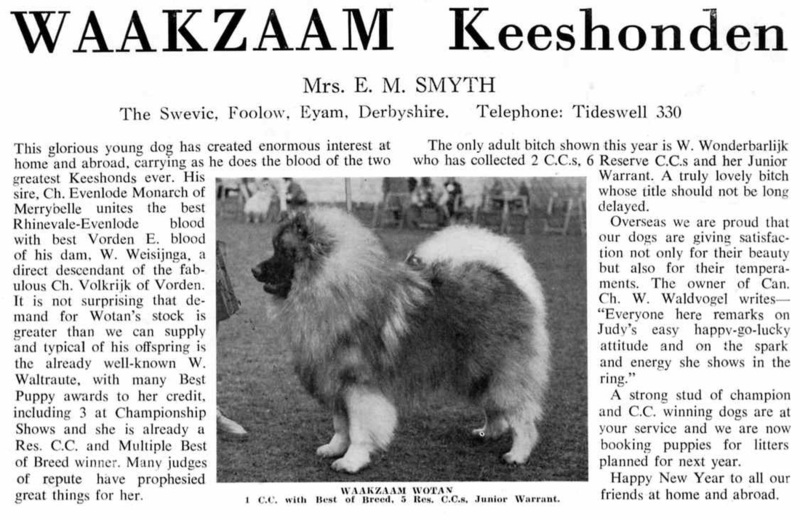 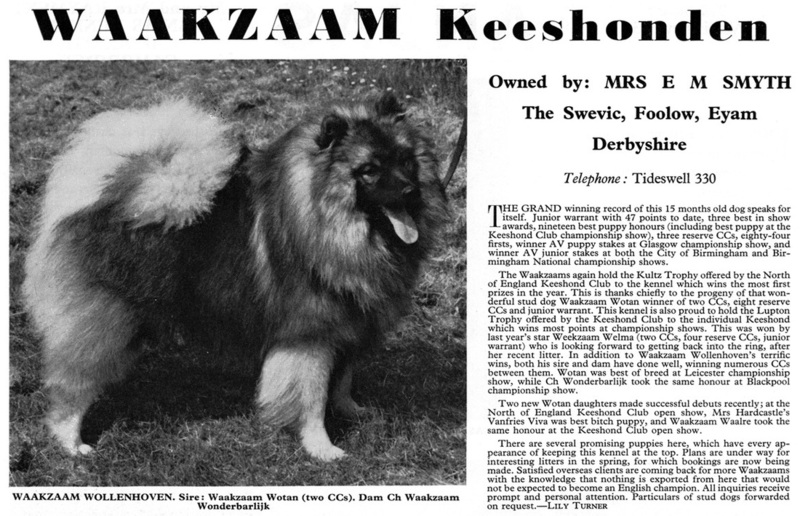 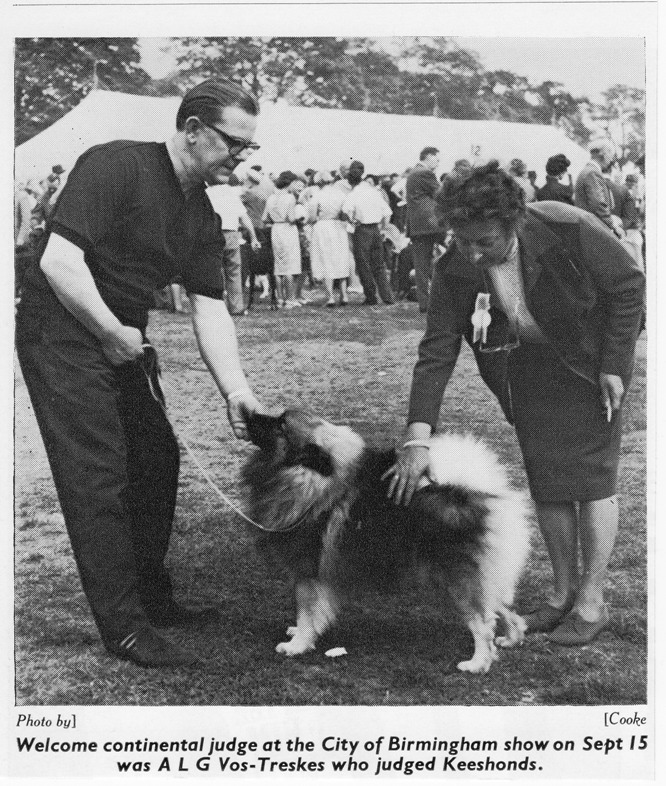 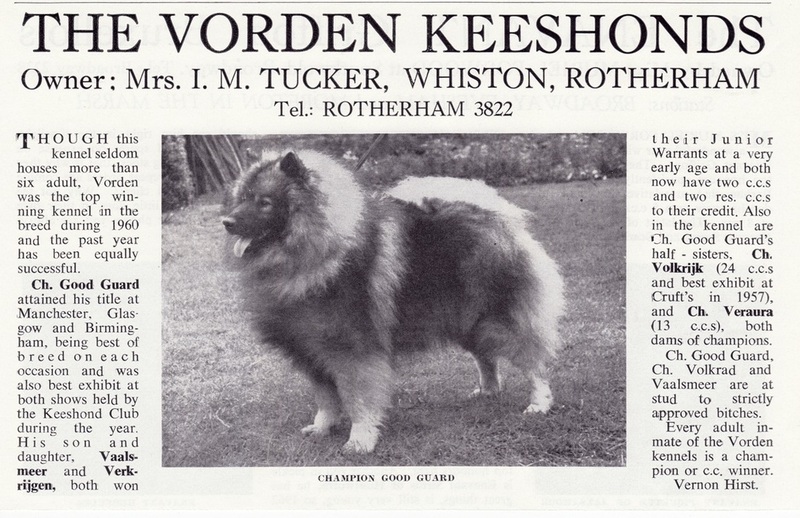 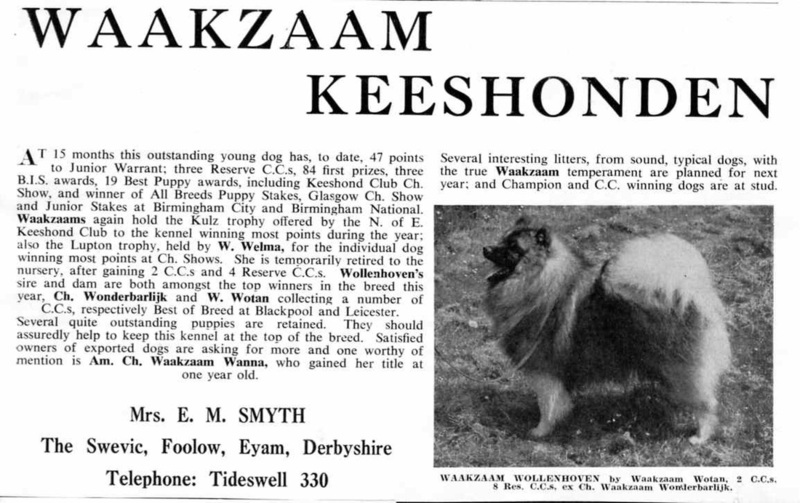 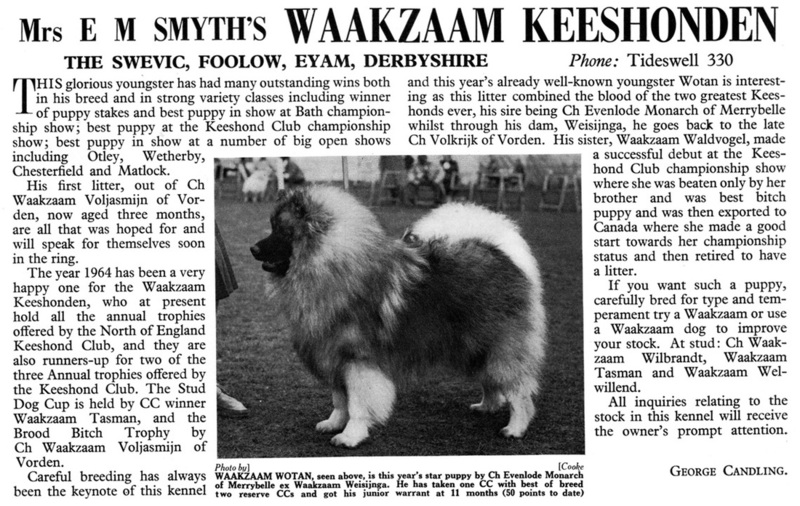 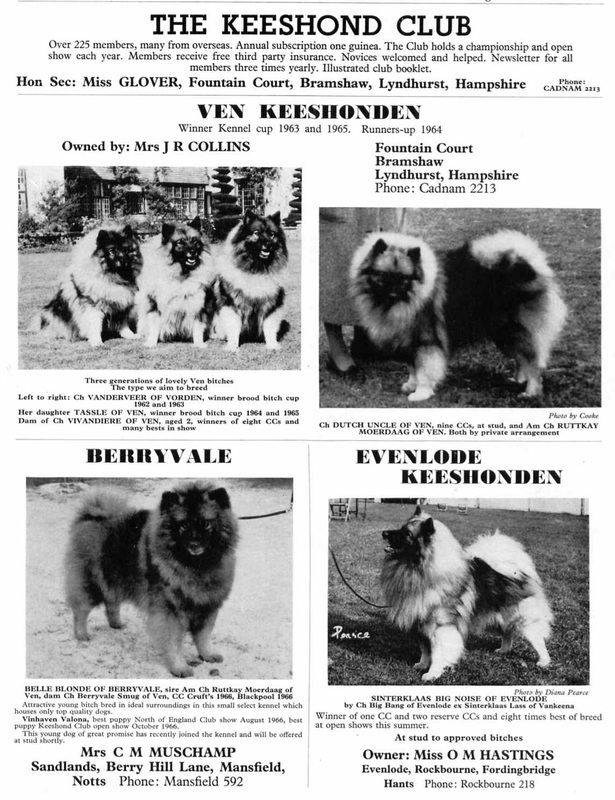 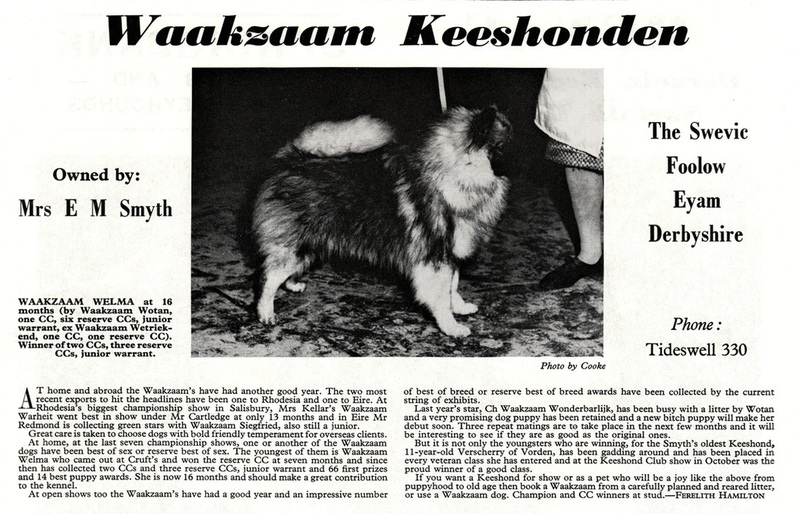 She remained a staunch and much loved campaigner on behalf of the keeshond until her death in 1975. 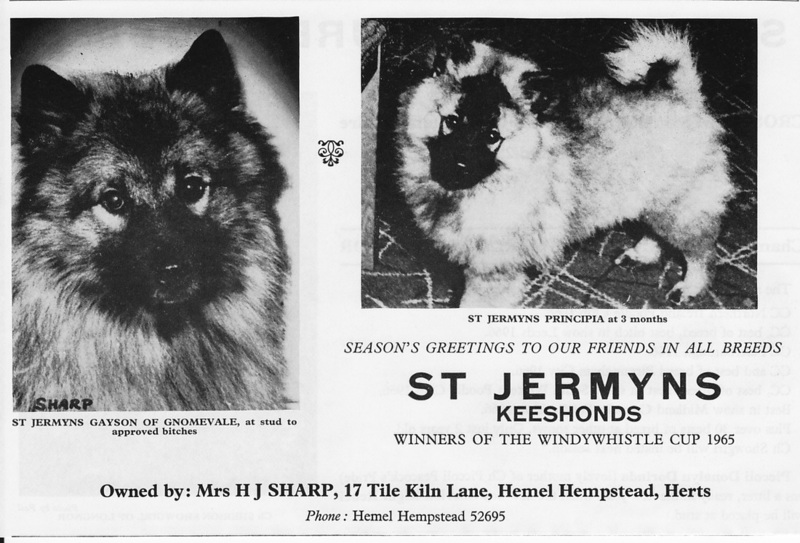 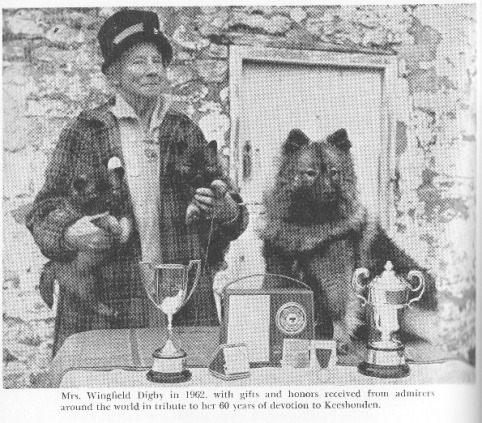 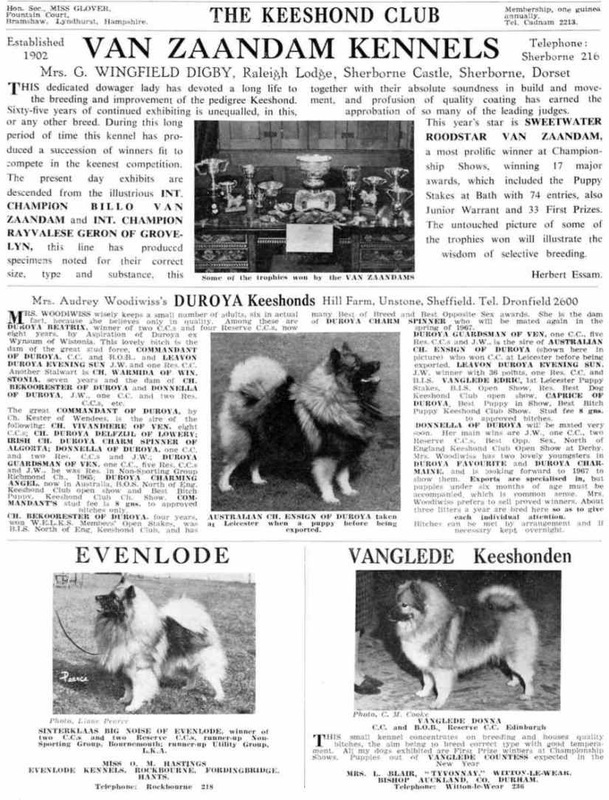 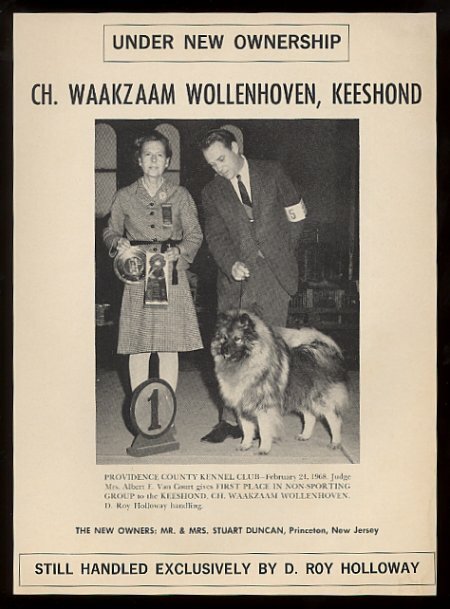 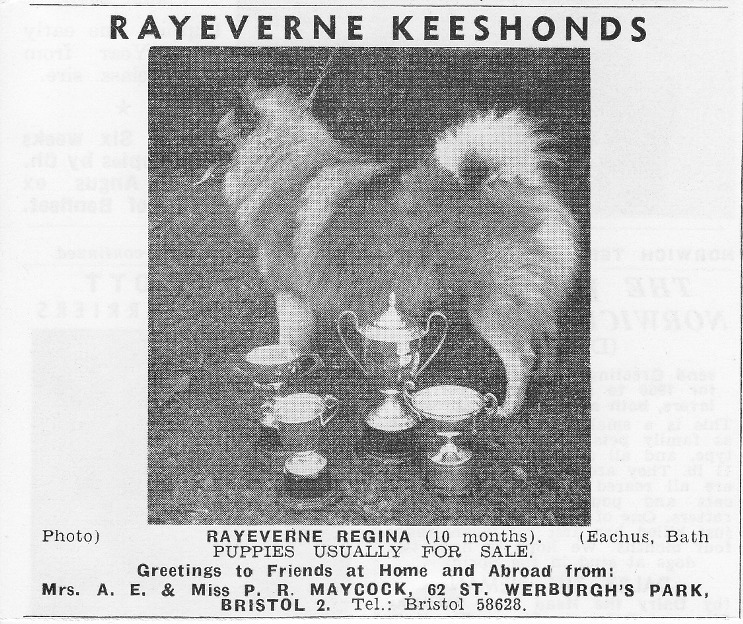 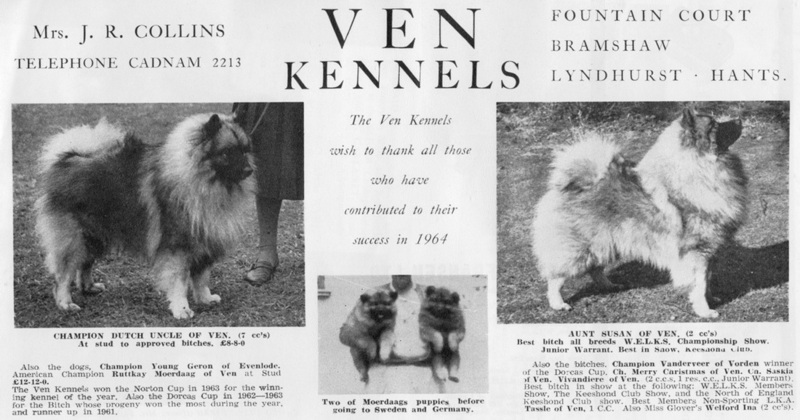 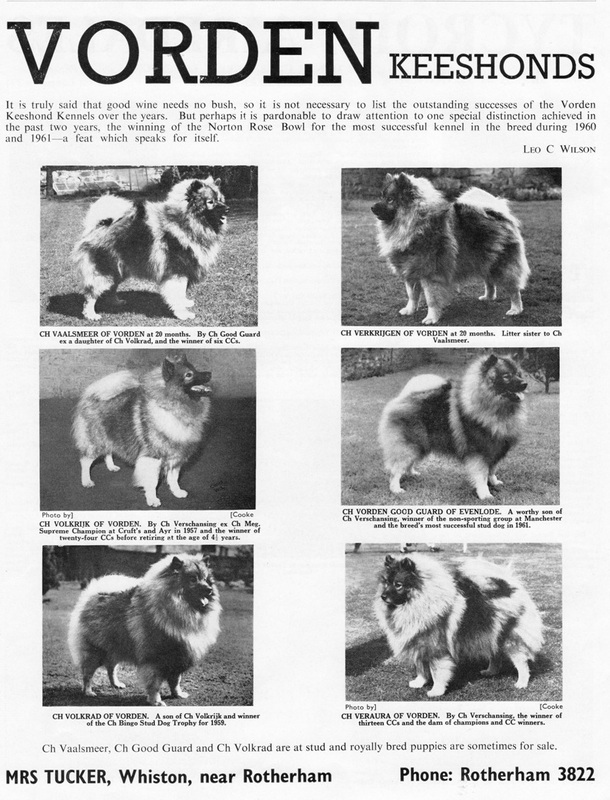 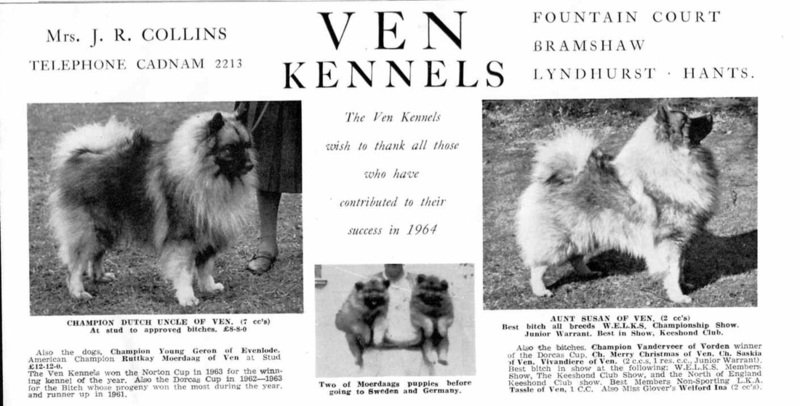 The photo on the right was taken in 1962 and shows her with some of the many gifts that she received from keeshond clubs around the world in recognition of her 60 years of devotion to the breed, as well as receiving honorary membership of many of the Keeshond Clubs around the world.